Our selection of high-quality styles, made in the USA by Kepner-Scott. are extra-durable and look good too. These cute, leather sandals with cushioned insoles and rubber soles will keep your princess walkin.. 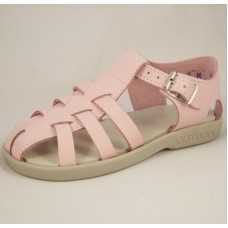 These cute, leather sandals with cushioned insoles and rubber soles will keep your young lady walk.. The Snowflake Mary Jane shoe is the perfect shoe for twirling in fancy dresses or having fun and..